Welcome to the Dark Ride Brothers CD Shop! At first, we would like to say a big thank you! In this age of digitalization, it feels awesome to see you're supporting our common Ride by ordering our music in physical form! "Join The Ride" will be sent to you in a specially designed tin box along with a Silver Edition certificate consecutively numbered. All Silver Edition Boxes will be shipped in the order of purchase: The first one to order will receive Silver Edition Box number 1 and so on. "Join The Ride" will be sent to you in a specially designed tin box along with a Gold Edition certificate consecutively numbered and hand-signed by all Dark Ride Brothers band members. All Gold Edition Boxes will be shipped in the order of purchase: The first one to order will receive Gold Edition Box number 1 and so on. 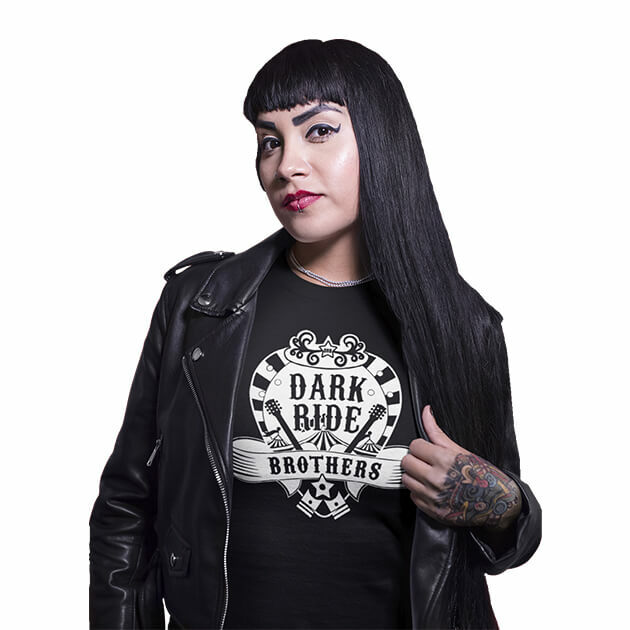 For all other merchandise products, please visit our Official Dark Ride Shop.